Did Cowboys owner Jerry Jones kneel with players for the right reasons? “I feel like it’s for show. I don’t trust Jerry or any of the owners on issues of social justice,” said future Hall of Famer Champ Bailey via text. Bailey was referring to Dallas Cowboys owner Jerry Jones’ decision to kneel before the national anthem on Monday night. 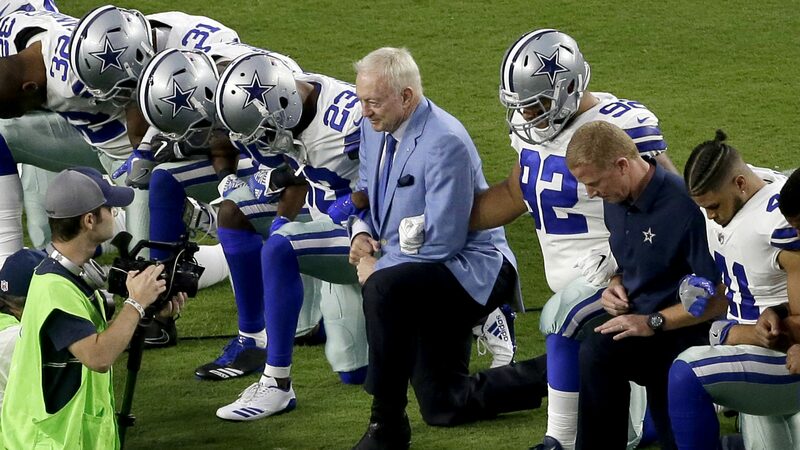 Bailey never played for the Cowboys, but for Jones and other owners to earn the 39-year-old, 15-year NFL veteran’s faith, they need to do more than link arms or kneel. “When they actually make a sacrifice on behalf of the cause, then I’ll believe,” said Bailey. He grew up in South Georgia and has seen that gestures from those in power rarely lead to progress without actual sacrifice. In this case, Bailey believes that Jones’ demonstration does more to confuse the original message than further it. Bailey also admitted that he was bothered by Jones smirking at the camera while kneeling. Like Bailey, Watson agrees that the message behind anthem demonstrations has changed. Last season, then-San Francisco 49ers quarterback Colin Kaepernick’s anthem demonstration, like that of Tommie Smith and John Carlos at the 1968 Olympics, was about racial injustice. But now “for many guys it means Trump was wrong,” said Watson. And after the game Jones said his team’s pre-anthem demonstration was about team unity. Watson, who is active on issues of racial inequality, stands for the anthem and believes in the right of others to kneel, is not convinced that the mass response to Trump is the best response. The Dallas Cowboys, led by owner Jerry Jones (center) take a knee before the national anthem before an NFL football game against the Arizona Cardinals on Sept. 25 in Glendale, Arizona. 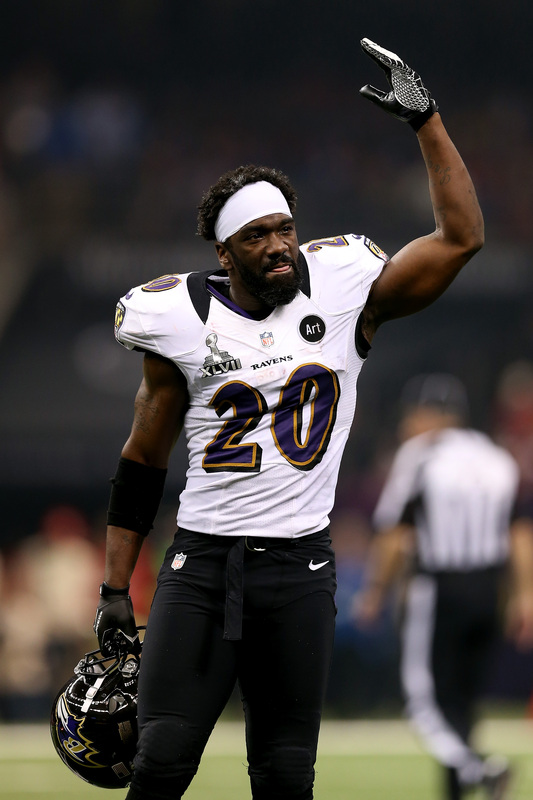 Ed Reed (No. 20) of the Baltimore Ravens looks on against the San Francisco 49ers during Super Bowl XLVII at the Mercedes-Benz Superdome on Feb. 3, 2013, in New Orleans. The Ravens won 34-31. Wide receiver Torrey Smith (No. 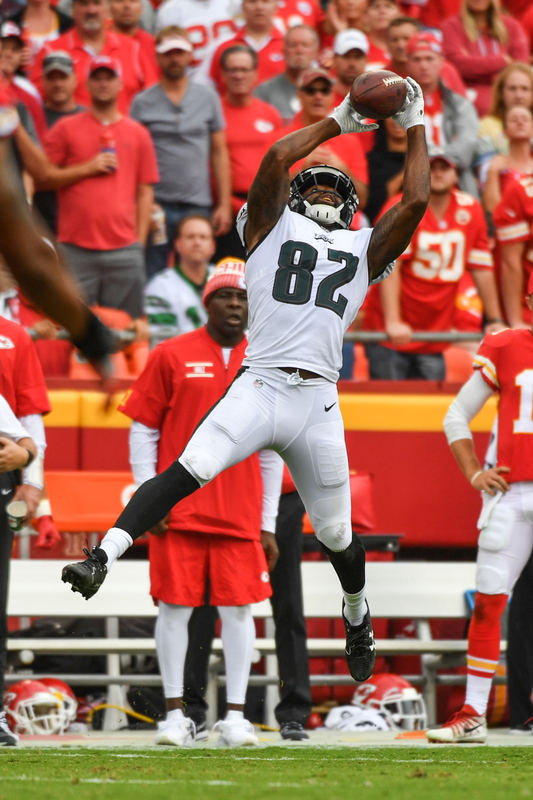 82) of the Philadelphia Eagles makes a leaping catch during the third quarter of the game between against the Kansas City Chiefs at Arrowhead Stadium on Sept. 17 in Kansas City, Missouri. Richard Sherman (No. 25) of the Seattle Seahawks looks on during pregame warm ups before the start of an NFL game against the San Francisco 49ers at Levi’s Stadium on Jan. 1 in Santa Clara, California. 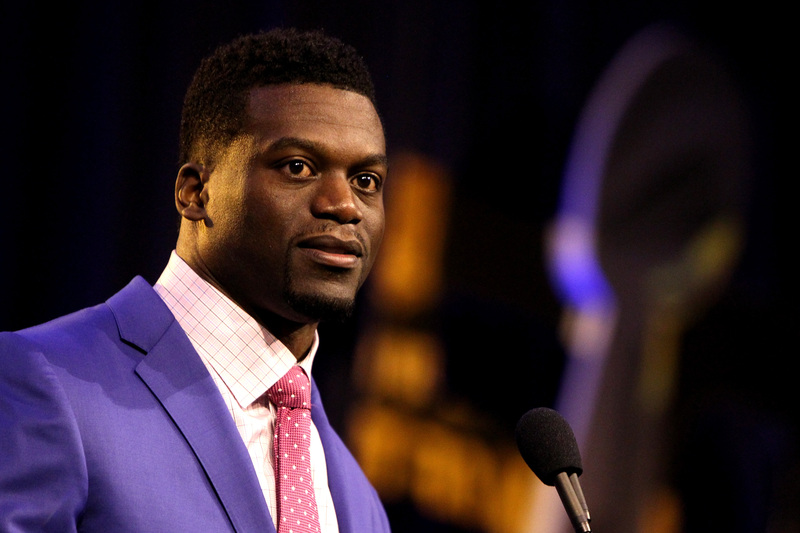 Finalist Benjamin Watson of the New Orleans Saints speaks during the 2015 Walter Payton Man of the Year Finalist press conference before Super Bowl 50 at the Moscone Center West on Feb. 5, 2016, in San Francisco. 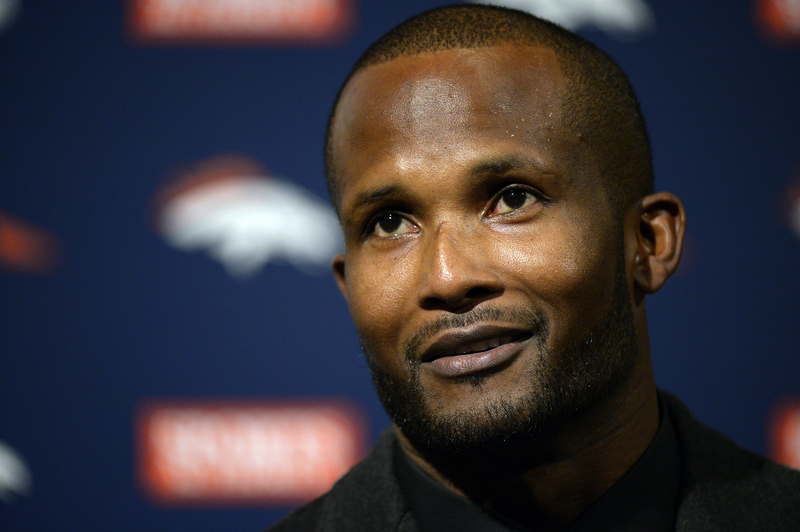 Denver Broncos Champ Bailey holds a press conference to announce his retirement as a Denver Bronco Nov. 18, 2014, at Dove Valley. Watson knows that words and actions have increased influence when they come from the most powerful man in the world. But what about when they come from the most powerful man in the NFL, Jerry Jones? 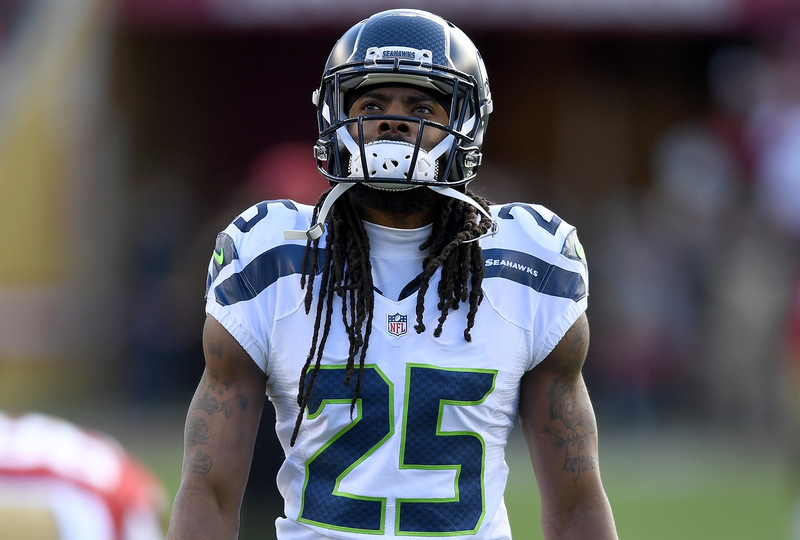 The Seahawks’ outspoken All-Pro Richard Sherman sees Jones kneeling as an opportunity. Sherman is not naive. He knows not to expect Jones to lead the charge for justice. But Jones did take a knee. Although he didn’t kneel during the anthem, the most powerful man in the NFL knelt. Whether he says it explicitly or not, it was because of injustice. Jones can say it was about unity. But indirectly it was an acknowledgment of respect for the players’ righteous cause. Sherman knows that images have impact and the image of Jones on a knee will resonate. Eagles receiver Torrey Smith didn’t really talk to me much about what Jones’ gesture meant. He didn’t even have much to say about Trump. Smith — who, with Anquan Boldin, Malcolm Jenkins and Michael Bennett, co-authored a memo to NFL commissioner Roger Goodell last week calling for the NFL’s support of player activism — was surprised to see Jones kneeling. But Smith’s only hope is that nothing distracts from players continuing to do good work. The Cowboys won the game in impressive fashion. Even though the game was on my TV, I can’t say that I was watching. When Jones knelt, my phone began to vibrate. At first it was just a couple of texts from former players. I wasn’t interviewing them for an article. We were just working through thoughts until I realized I didn’t have enough time or desire to research and write my normal All 22 deep dive into football strategy. So I muted the game and spent the next few hours texting and talking to just under 20 current and former NFL players. Obviously, I didn’t include all that we discussed. The conversations were long. While not quoting every player, I did my best to show the full breadth of reactions I received.